The spoils are shared. Incredible drama. Thanks for your company. A full match report will appear on the BBC Sport website. An astonishing match finishes in incredible drama. Substitute Joe Allen is in the right place to drill home from inside the area in front of the Kop after a long ball to Benteke. Brilliant drama. Leicester have gone ahead at Tottenham...it means Arsenal's lead at the top of the table will remain two points if the scores stay the same. Here comes Liverpool new boy Steven Caulker. The loan signing is on for Adam Lallana - and he immediately joins Christian Benteke in attack! Arsenal are running down the clock. A defensive move by Arsene Wenger as Mikel Arteta comes on for Mesut Ozil. Emre Can off and replaced by Joe Allen. Six minutes to go plus stoppage time. Sleet is falling on Anfield. We're into the last 10 minutes and the pace is as relentless as it was in the first minutes. What an incredible match. Almighty scramble in front of Arsenal's goal after Jordon Ibe manages to shrug off Nacho Monreal to get in a cross. Double change for Arsenal. Gibbs and Oxlade-Chamberlain on for Campbell and Walcott. "Liverpool manager Jurgen Klopp has appeared unconvinced by the merits of Christian Benteke, brought to the club by his predecessor Brendan Rodgers in a £32.5m move from Aston Villa, despite winning goals against Leicester City and Sunderland. "He is counting on him now, though, as Liverpool seek an equaliser. 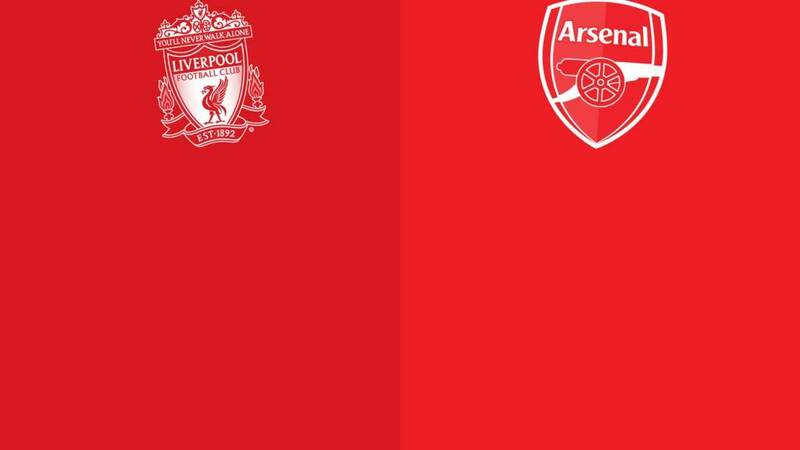 There always seems hope for Liverpool going forward but Arsenal are knocking at an open door if they can exert pressure on the home defence." Around 20 minutes left. Liverpool are throwing bodies forward and the Kop is roaring their team forward. Time for another twist in this pulsating match? Luke: What's worrying for everyone is that Sanchez, Cazorla and Coquelin are still to return to this Arsenal side. James Milner makes way for Christian Benteke. Christian Benteke is warming up for Liverpool. Is the big striker about to come on? Nick Clohessy: Joel Campbell is playing like a man who knows he could be replaced in this transfer window. His best game in an Arsenal shirt. Adam: He may not have a goal but Joel Campbells work rate tonight forward and back has been brilliant. Still another half an hour or so for Liverpool to find a way back into this. Rafael Benitez is at Anfield. I wonder what the former Reds boss makes of this? Kweku Adaboh: Toure, Sakho and Mignolet are there to add up to the numbers.Realistically we are playing with eight players. This is a real test of character for Jurgen Klopp's Liverpool. They are behind for the first time in this crazy yet pulsating game. Can they find a third goal? And the goals keep flowing...Arsenal take the lead for the first time after Olivier Giroud produces a sublime finish on the turn inside the Liverpool area.